There is usually plenty of sunshine during January and the rain, when it arrives, normally lasts, on and off, for 2 or 3 days before the sun returns for a week or more. Temperatures, although not especially high, do feel pleasant enough in the afternoon sunshine, On 2 or 3 days in the month, the temperature rises close to 20 Celsius (68F), but on the cloudy and wet days maxima may be no higher than 10 Celsius (50F). The evenings will almost always feel chilly, and on rare occasions, the larger gardens on the outskirts of the town may have a frost on the grass for an hour or two around dawn. The average temperature seen in February is 12°C (54°F). 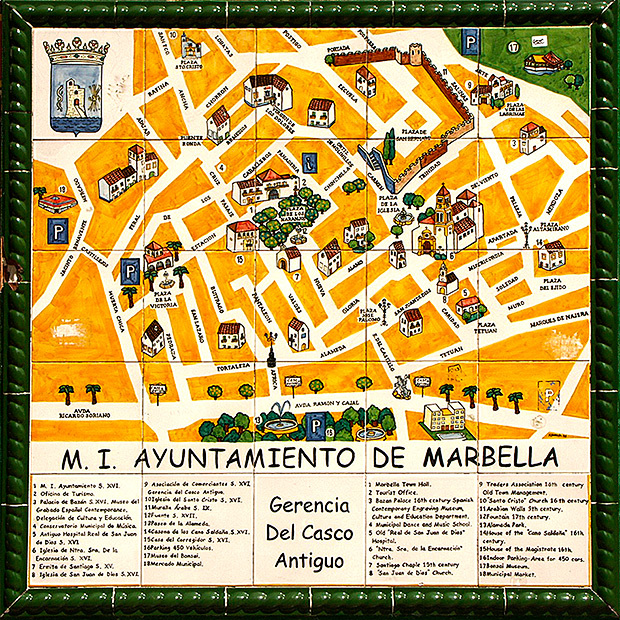 February is one of the cooler months for the year in Marbella, Spain, but will definitely see favorable weather. The average temperature and average highs and lows both rise from January while the average rainfall decreases. Average sea temperature and average sunshine hours remain stagnant. Average highs go up to 16°C (61°F) which are mostly seen the beginning ten days of the month. The rest of the month sees daily highs reaching 18°C (64°F). Average lows get down to 7°C (45°F) and are also mostly experienced in the beginning ten days of the month with daily lows the rest of the month getting to 9°C (48°F). February as a whole sees gradually rising highs with only one day in ten going over 22°C (71°F) or going under 14°C (57°F). Daily lows only go under 4°C (39°F) or over 13°C (55°F) every one in ten days. The average rainfall for February is at the fourth highest for the year with 75mm. This translates to on average 5 days of rainfall or every 1 in 6 days. The most common form of rainfall is moderate rain which is the most likely to occur in the beginning of the month. Light rain and thunderstorms are less common and most likely to occur at the end of the month and beginning of the month, respectively. The average humidity for February is 70%, which ranges from 50%, comfortable, to 90%, very humid. The humidity rarely goes under 31%, comfortable, but can get as high as 100%, very humid. The end of the month is the most likely to be the least humid, while the beginning of the month is the most likely to be the most humid. The average sunshine hours for February is 6. This is the lowest amount of average sunshine hours for the year and is also experienced in January and December. As the month goes on, the daily sunshine gradually increases with the end of the month the most likely to experience the most daily sunshine. The average sea temperature in February is 16°C (61°F), which is the lowest average sea temperature of the year and is also experienced by January and March. Some delightful days occur in March but the early risers usually enjoy the best of the weather. A typical March day will start cool and sunny with a gentle wind blowing down from the Sierra Blanca. Temperatures will rise rapidly and by noon values will be around 19 Celsius. A few clouds may form, then quite suddenly the wind will shift right round and blow in from the sea. The sea is as cold as at any time of year in March, so once the sea breeze has become established during the afternoon the promenade is best avoided. As for rain falling, perhaps a short-lived fall once or twice a week. 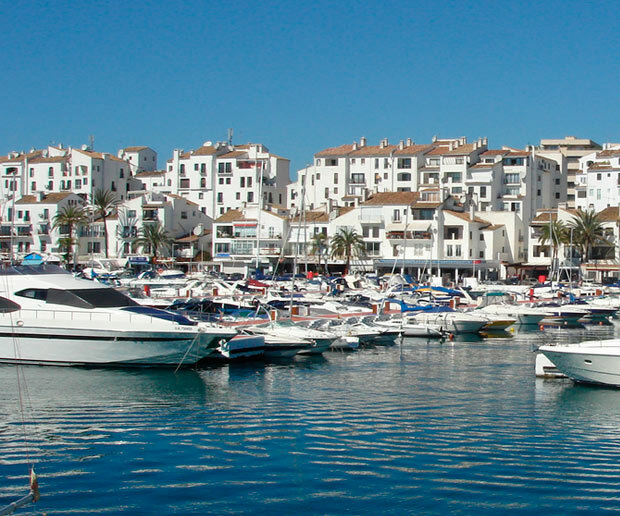 Visiting Marbella, Spain in April is a good move as the weather starts to really take on its spring form. The average temperature, average highs and lows, average sea temperature and average sunshine hours all increase from March. The average rainfall continues its yearly trend and decreases from March. The average temperature seen in April is 16°C (61°F). Average highs get up to 21°C (70°F) which are mostly seen in the ending ten days of the month, with the beginning part of the month seeing daily highs get to 20°C (68°F). Average lows get down to 11°C (52°F) and are mostly experienced in the beginning ten days of the month, with the end of the month seeing daily lows reach 12°C (54°F). April as a whole sees gradually rising daily highs with only one day in ten going over 26°C (78°F) or going under 17°C (62°F). Daily lows only go under 7°C (44°F) or go over 16°C (60°F) every one in ten days. The average temperature throughout May is 18°C (64°F). Average highs rise to 23°C (73°F) which are mostly experienced in the beginning ten days of the month, with the rest of the month seeing daily highs rise to 26°C (78°F). Average lows go down to 13°C (55°F) and are also mostly seen in the beginning ten days of the month, with the rest of the month having daily lows get up to 16°C (61°F). May as a whole experiences rising daily highs with only one day in ten going over 29°C (85°F) or going under 18°C (65°F). Daily lows only go under 9°C (49°F) or go over 19°C (66°F) every one in ten days. The sun beats down relentlessly from a clear blue sky. Not completely true, but certainly a close approximation to the weather in June. The sun appears hazier as the air trapped under the sea-breeze inversion becomes more polluted, but clouds are rare. Occasionally, say once or twice a month, a band of cloud may spoil the sunshine and this could produce an hour or two of rain. High-level thunderstorms, moving north from Morocco, may produce a few spots of dust-laden rain, otherwise sunshine, and just the odd unpleasant day when the temperature rises close to 38 Celsius (100F). Rain is so rare in July it is not worth a mention. Bands of high cloud occasionally prevent a day of full sunshine but the normal July pattern of weather is this. After a warm and fairly humid night, there is a dip in temperature to 19 or 20 Celsius around dawn. The morning then warms up rapidly, reaching around 29 Celsius between midday and 1 pm. The light wind on the beach then quite quickly becomes a steady breeze off the sea. With sea temperatures generally around 23 Celsius in July, the afternoon breeze is very refreshing. Occasionally the sea breeze fails and it becomes very hot. The average temperature seen in August is 24°C (75°F). Average highs get up to 29°C (84°F) which are mostly seen the last ten days of the month, with the beginning of the month seeing daily highs rise to 31°C (87°F). Average lows get down to 19°C (66°F) which are also mostly experienced the last ten days of the month with the rest of the month seeing daily lows reach 21°C (70°F). August as a whole sees gradually falling highs with only one day in ten going over 36°C (96°F) or going under 26°C (79°F). Daily lows only go under 18°C (64°F) or go over 24°C (75°F) every one in ten days. The average rainfall seen in August is 5mm which is the second lowest average for the year. This translates to on average 0 days of rainfall. When it does rain, the most common form of rainfall is thunderstorms, which are most likely to fall at the end of the month. Moderate rain and light rain are less common forms of rainfall, but also most likely to occur at the end of the month. 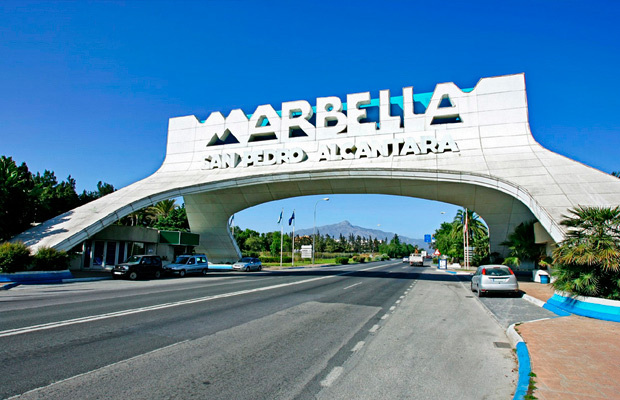 September in Marbella is a summer month. 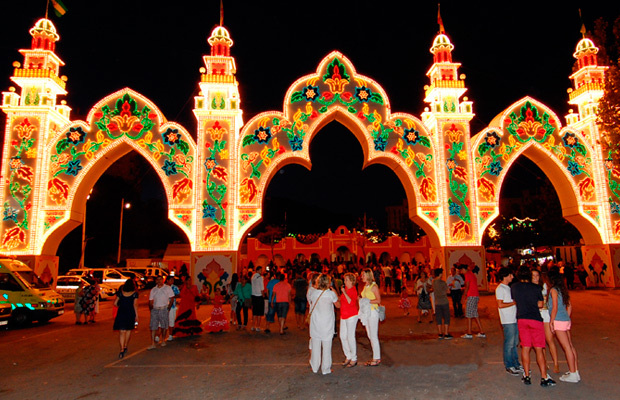 The first week or two can be very hot and humid, and nights with temperatures remaining above 23 Celsius (73F) are not uncommon. Pollution levels often appear high, and the chance of relief from refreshing rain is almost nil. Occasionally, an upwelling of cold water can occur with cold sea fog lapping the beaches. This can happen at any time during the summer months but thankfully it is rare and only lasts a day or two. The phenomenon of upwelling is poorly understood at present, and unlike the less unusual Spring sea mist, is unpredictable. 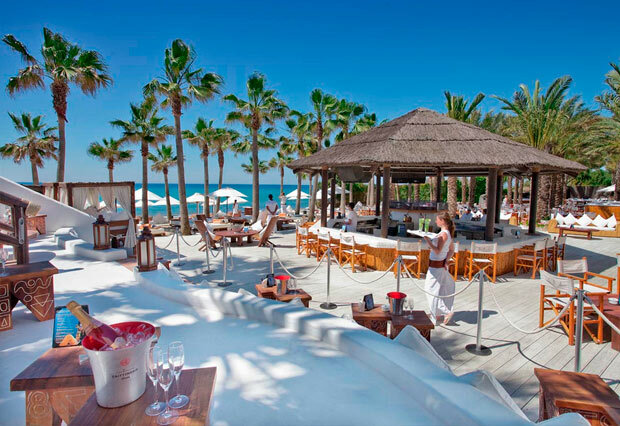 October weather in Marbella is fickle at the very least. The figures say that it is the wettest month of the year with over 100 mm (4 inches) of rain, but they don’t say that the rain falls in severe thunderstorms with curtains of water that often last for less than 2 hours. The sea remains very warm, partly the reason for those storms, but the adjacent land also stays pleasantly warm and without the intense heat from the sun. On balance, this month is probably the 2nd best, behind May, to visit this part of Spain, and by the end of the month nights are becoming comfortably cool again. 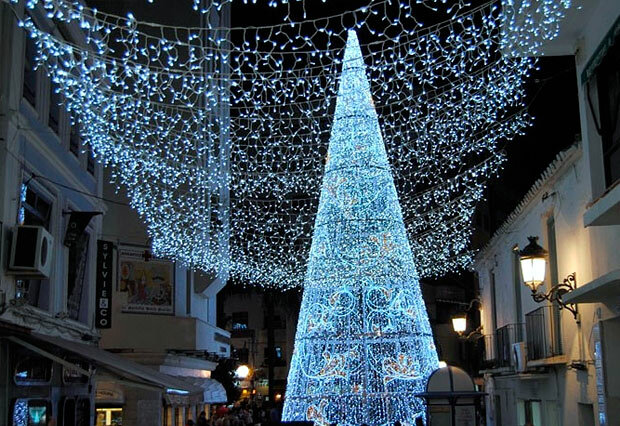 The nights have lengthened in Marbella at this time of year, but are not as long as they are in northern Europe. Of all the months, November probably offers the best contrast between the grey and cold of northern latitudes and the sun, and relative warmth, of the Costa del Sol. Early in the month, temperatures regularly reach 20 Celsius, or more, and to have 2 consecutive cloudy days is rare. The weather is thundery at times, and rain can sometimes be very heavy, but pollution levels are low and, in most years, the sea is warm enough to bathe in, at least early in the month. 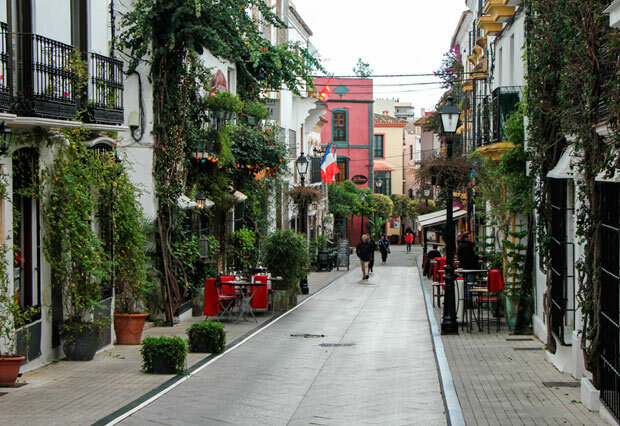 There can be some dire days in December anywhere in Europe, and even Marbella can have 3 or 4 days of windy, wet and relatively cold weather with temperatures struggling to reach 12 Celsius. However, this is the exception and, although not warm, there is sufficient sunshine to cheer a visitor from the north. The evenings and nights are normally quite cold, and in sunnier Decembers a frost may occur on the grass in larger gardens away from the coast. Occasionally the temperature may approach 20 Celsius (68F), but the lower humidity adds chill to the air when evening arrives.